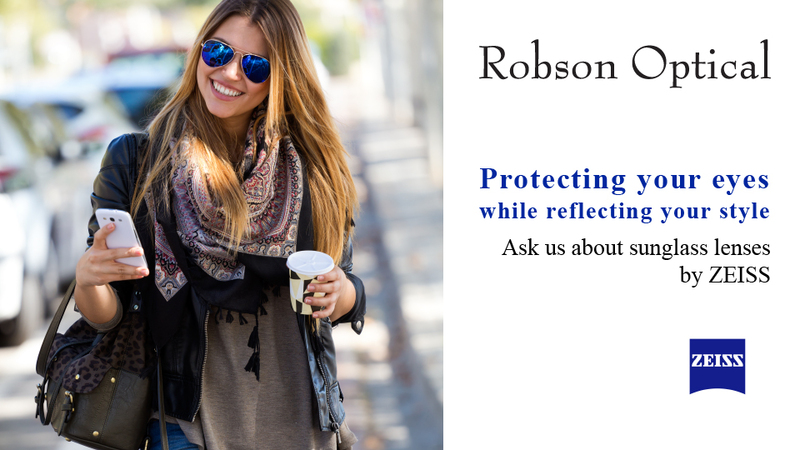 ZEISS Sunglass lenses filter out up to 100% of UVA and UVB radiation. Take your place in the sun – without damaging your eyes. Sunglasses are indispensable for ensuring that you enjoy superb, clear vision and 100% protection against UV rays. ZEISS sunglass lenses are the best choice for your sunglasses whether you have prescription lenses or not. • URBAN: ideal for fashionistas and individualists who want to be stylish. Eye-catching colours, attractive designs and aesthetically appealing mirror coatings. • DRIVE: On the road and lovin’ it: ZEISS sunglass lenses are ideal for people who live to drive, as well as for frequent drivers who value maximum visual comfort and safety. • ACTIVE: No matter if you enjoy skiing, biking or working in your garden, ZEISS sunglass lenses are the ideal choice for people with an active lifestyle. These lenses are individualized to accommodate your favorite hobby or sport, with an optional green, red, intensive blue or silver mirror coating. Come in and talk with one of our knowledgeable team members and find out how we can customize your sunglasses with ZEISS Sunglass lenses. Hottest optical store on the block!